Instagram dropped the bomb with its new version of Stories, and I heard the bell toll way in the distance for Snapchat. I admit that although I am a 39-year-old, I behave more like a 25-year-old on social media. I’m an avid Instagrammer with 40,000 (real) followers with high engagement (@adam.the.creator), I use Facebook to connect with friends and family, and even got on Snapchat recently to document my small day-to-day moments. I love the filters, I really like the application. Then Instagram dropped the bomb with its new version of Stories, and I heard the bell toll way in the distance for Snapchat. Sheer numbers: Instagram users outnumber snapchat users five to one. That’s 500 million monthly active users versus 100 million. What does that mean? 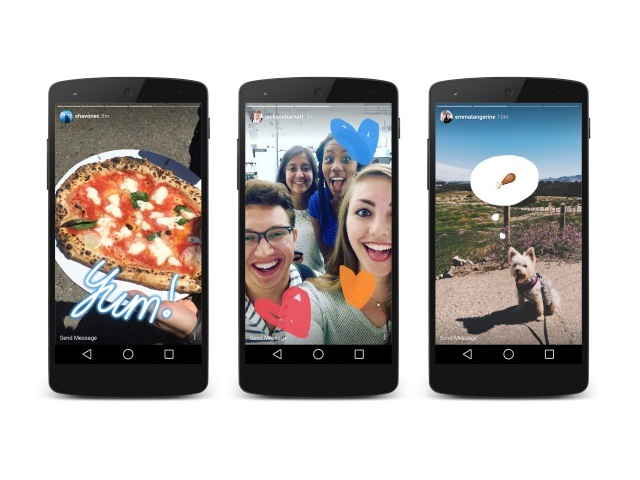 That it’s easier to spread user behaviors like Stories within the Instagram app than it is for Snapchat to encourage Instagram users to adopt an entirely new platform. Instagram isn’t concerned with capturing the 100 million snappers as much as it is protecting its 500 million users. More star power: Kevin Hart is one of my favorite actors today. His Instagram account, @kevinhart4real, has 40 million followers. Each Instagram story that he posts has the potential to reach almost one-half of the entire user base of Snapchat. That’s muscle. I’m talking Super Bowl commercial muscle every time he posts a story–and that’s just one Instagram celeb. There can only be one “now” app: When people asked me the difference between Instagram and Snapchat, I told them that Instagram was about curating great content, and Snapchat was about capturing the moments in your life. Now that Instagram incorporated the Stories feature, users are faced with a choice when that special moment strikes. You really can’t post to both because as soon as you post, that moment already passed. And we will always gravitate to the place where more people can see us. Once they release their first facial-recognition filter? Checkmate. The Zuckerberg factor: Facebook co-founder and CEO Mark Zuckerberg is no dope. Although Facebook has become an advertiser’s dream with its laser-targeted ad network, the cool kids were starting to migrate to Instagram. He knew that once a tech brand loses “cool” there’s no use chasing it. Instead, he simply acquired Instagram, gave it a future-forward facelift and integrated his controversial Facebook algorithm. Witnessing the rise of Snapchat with the younger demographic as a “trendier alternative” to Instagram, he decides to protect his territory by folding Snapchat’s features right in. In Zuckerberg’s scenario, Instagram is no longer the cute quirky photo- and video-sharing app: It will define social media culture as we know it, just as Facebook is beginning to define family and online marketing. So, Twitter: When Instagram/Facebook offers to buy you in the next few years, take the cash. You’re welcome. Adam Padilla is the CEO of creative branding agency BrandFire.